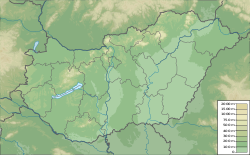 Érd (Hungarian: [eːrd]; German: Hanselbeck; Croatian: Andzabeg) is city and urban county in Pest County, Budapest metropolitan area, Hungary. The area has been inhabited since ancient times. Archaeological findings indicate that prehistoric men lived here 50,000 years ago. Érd itself was first mentioned in documents in 1243. The name comes either from the word erdő ("forest") or from ér ("stream"). During the Ottoman occupation of Hungary, Érd was captured by the Turks in 1543, after the castle of Székesfehérvár fell. The Turks built a motte castle and a mosque here. In these times, the place was called Hamzsabég (Hamzabey). In 1684, the army led by Charles V, Duke of Lorraine defeated the Turks near Érd. In 1776, Érd became an oppidum (town). It is possible that it already had been oppidum before the Ottoman occupation. In the early 20th century, Érd became the property of the Károlyi family. The town grew, but remained mainly an agricultural town until 1972, when several new facilities were built and the touristic value of Érd grew. Érd was the fastest-growing locality in Hungary between the 1991 and 2001 censuses (up 30.6%). On November 7, 2005, the Parliament decided that Érd will be granted the rank of city with county rights from the date of the next council election in autumn 2006. The mass transit are operated by Volánbusz, with five bus lines. A lot of buses depart to nearby cities, such as Sóskút, Pusztazámor, Százhalombatta, and Budapest. In the city, there are five railway stations (Érd, Érd alsó, Érd felső, Tétényliget, and Érdliget). Passengers can travel to Budapest, Pécs, Nagykanizsa, etc. Ferenc Miákits (1876—1924), politician, former minister of finance of the Hungarian Soviet Republic. Ferenc Molnár (1891—? ), former footballer. Rudolf Pap (born 1989), animator. Wikimedia Commons has media related to Érd. 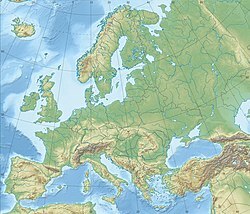 Wikivoyage has a travel guide for Érd.